The Kyocera ECOSYS FS-6525MFP Color Printer is a great choice to go with for all of your copying, printing, and scanning needs. It prints 25 pages per minute with paper sizes up to 11” x 17”. Right out of the box this Kyocera MFP your copier is ready for all of your small business needs. This copier also offers enhanced optional finishing and advanced business applications, ensuring that the device is able to scale to your everyday needs. Using one of those features ensure that your office has what is needed to perform tasks quickly and efficiently. 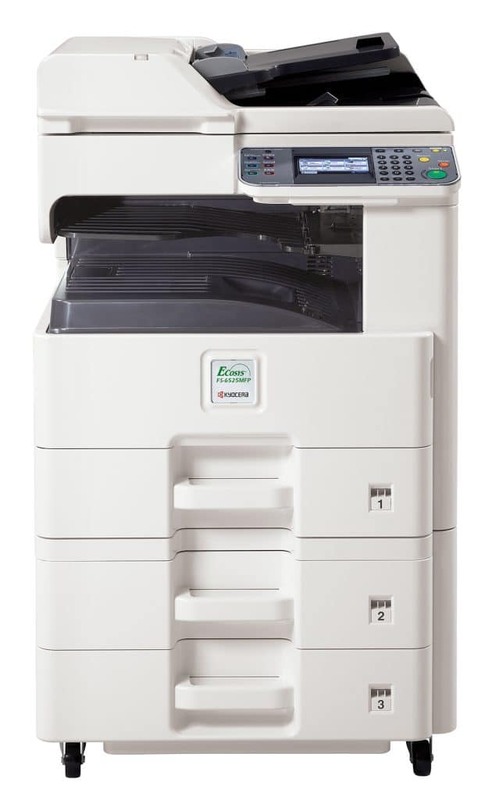 This KYOCERA has a unique ECOSYS technology brings increased operating life and advanced reliability in an environmentally efficient multifunctional device.Contact us today if you’re ready to buy the Kyocera ECOSYS FS-6525MFP Color Printer!